Meanwhile, the Japanese juggernaut Amagi, also trapped in this strange world, is under Grik control---with her fanatical commander approaching madness. And soon they will have amassed a force that no amount of firepower and technology will be able to stop.As the raging conflict approaches, Reddy, his crew, his allies, and his loved ones face annihilation. But if there is one thing they have learned about their new world, it is that hope - and help - may be just over the horizon. 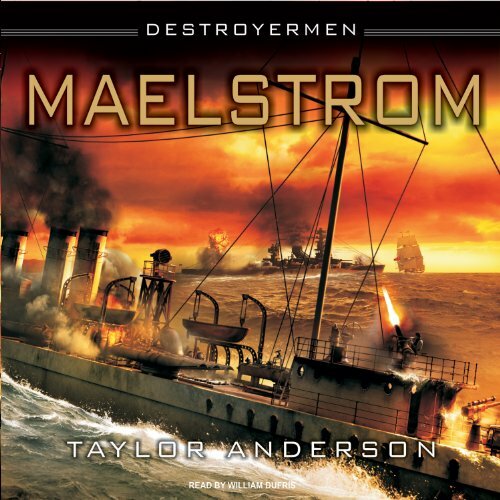 I was somewhat undecided whether to continue listening to the series because of a series of reviews stating that in Malestrom, the story of the destroyermen had become boring and uninteresting. I did not find this to be the case. I remained fully engaged by the story which continued to unfold in interesting ways. The characters in the story continued to develop which to added depth to the alternate world in which the story takes place. I enjoyed this book just as much as I enjoyed the first two and would highly recommend it to anyone who enjoyed the first two books in this series. The first two books were great, this was is okay, but starts out really slow. Not much happens the first few hours, just more recap on what happened in the first two books. Any character or event that's tied to something that previously happened each gets a 10 minute recap. This might actually be good if it has been a while since you read the first two books, if not, the first quarter or so of this book is pretty boring. A little slow to start but what a battle! It was a bit slow to start as Mr. Anderson "catches up" new readers with the back story of the previous two books. I continue to enjoy the series because there are so many rich avenues to take it... which Mr. Anderson does. Also, lots of dialog, which I prefer in my stories. And, narrator William Dufris continues a wonderful performance with great diversity in voices. All the "day in the life" dialog throughout the middle part builds to a climactic end with characters you'll come to know, bond with, and care about. Now, on to book 4! 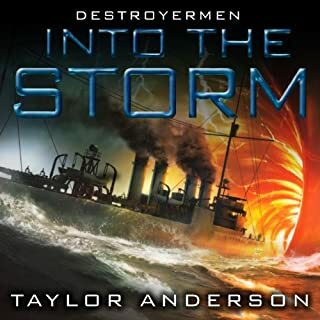 Taylor Anderson's highly imaginative story/series is made even more exciting and entertaining by William Dufris's interruptive reading. This genre of alternate earth is a tough one to keep fresh. With thrilling action, despicable villains, humorous situations, lovable characters and plot twists keeps this book/series moving along. William Dufris's imaginative character/creature voices puts this reading experience on a higher plain. I often find myself taken into the action or chuckling to a situation. I look forward to each book. A few slow spots here and there, but that is to be expected. I really am enjoying this series. I felt like most of what I am listening to is repeats from the first two books. I loved the two first books but not enough to enjoy hearing events from them being retold over and over. Taylor Anderson is not the only author that does this, but it's frankly annoying and boring. The usual excuse seems to be catering to new readers, but you shouldn't be starting with the 3th book in a series anyway. Besides that, the story is still good, even though at times it may drag on a bit when a character goes on with some long monologue or thought. Perhaps I just have a preference for action. Don't get dissuaded by the slow start! Don’t let the slow start in this episode dissuade you - it just builds a basis for getting to know the characters and made me feel like part of the crew! The first half of this book fills in the backgrounds of the characters and events to bring a new reader up to date in the series. There is a lot of behind the scenes details, building characters, setting the locations, revealing society positioning and strategy for the upcoming battles. Though it’s not exciting, still I found it very interesting. I liked even the geographical descriptions as a comparison between the alternate world and the world that the Americans came from. 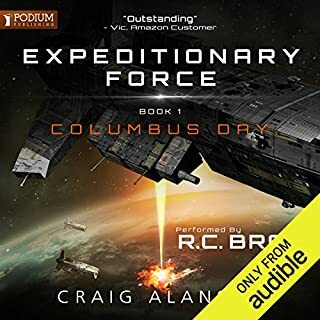 This story also introduces a few new characters, including some pre-American Revolution British officers who choose to remain outside of the alliance. I had already like Captain Matthew Reddy and many of the crew members from the prior books. By the time the battle begins in the second half of this book I felt like I knew the American crew personally. When this book jumps into the battle action there is excitement, fear, horror, loss and sorrow. A couple times I actually found myself holding my hands over my face as I dealt with the emotions during the battle. 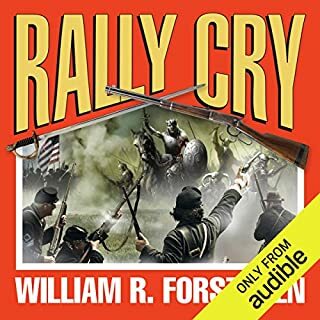 Audio Notes: William Dufris does a grand job of narrating that captures the nuances of the characters– good guys and bad guys– and the excitement of the battle. I get wrapped into the narration which to me signifies both a good story and a delivery that keeps the reader focused on the characters and action with no negative distractions from the reading. At first I thought this series was going to be tedious as it seems to be a simple story, but very long. I am beginning to appreciate the detail with which the author spins the tale. He obviously has some engineering background and he goes to great lengths to give the reader insight on how certain things are manufactured in the alternate earth. By the same token, he develops his characters well and even focuses attention on what could be considered minor characters. 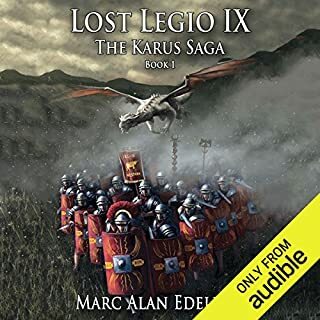 I reviewed the previous volumes and noted that Audible should allow "listener/readers" access to the maps and other illustrations that are in the printed versions of the books. 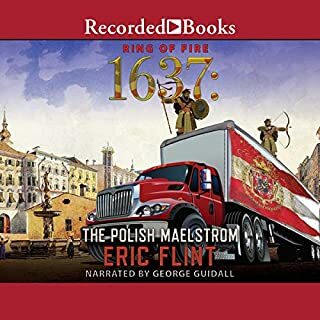 There should be some way that a purchaser of an audio book can receive the ancillary devices the author deemed necessary in the printed version. This is the only weak link in any audio book - not just this series. The narrator is extremely talented. It is amazing how he provides for all the different voices of the characters whether male or female, human or non-human, Australian, etc. I am now committed to every book coming in this series. It is a superior epic type of tale. I love this whole series . I have not actually read any of the books--just listened to them. The narrator does a great job with the voices and accents. I couldn't wait for the next book each time. Third in a series for a WWII destroyer conveyed into a strange world evolved very differently. In this installment, our destroyermen heroes travel to the Philippines in an attempt to garner allies and conduct a massive defense of their allies' home. I admit that I'm addicted and can't wait to listen to the next book. You have to congratulate Taylor Anderson. 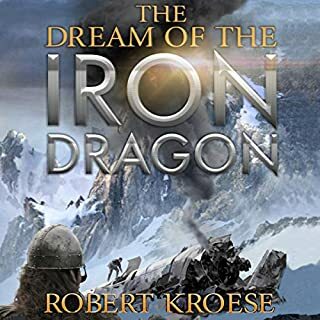 He has created a richly detailed set of nations, characters and relationships in the kind of detail that allows the listener to really immerse themselves in the characters many of who are given genuine depth. And when the action does finally start it is an excellent, highly detailed battle seen from several angles and described in vivid detail with some clever twists. Bravo! The word of warning though, if like me you have already devoured the first two in relatively quick succession, is that the first part of the book really does take its time to recap events and character back stories. In some ways this is understandable because as books are written there will be a significant gap between publication dates but even then I would say there is at least an hour or so of real "padding". It's worth getting through and I will carry on with this series but possibly leaving a longer gap between books. But that said . . . I would recommend this series to most people I know in a heartbeat!